When the Texas Legends take the court in Frisco on November 9, 2018, the 12-player roster you’ll see donning the blue and white will have come together like a thoughtfully studied puzzle over months of tryouts and acquisitions. Let’s take a look at how the team is built. There are effectively five ways the Texas Legends can acquire a player for the upcoming 2018-2019 basketball season. 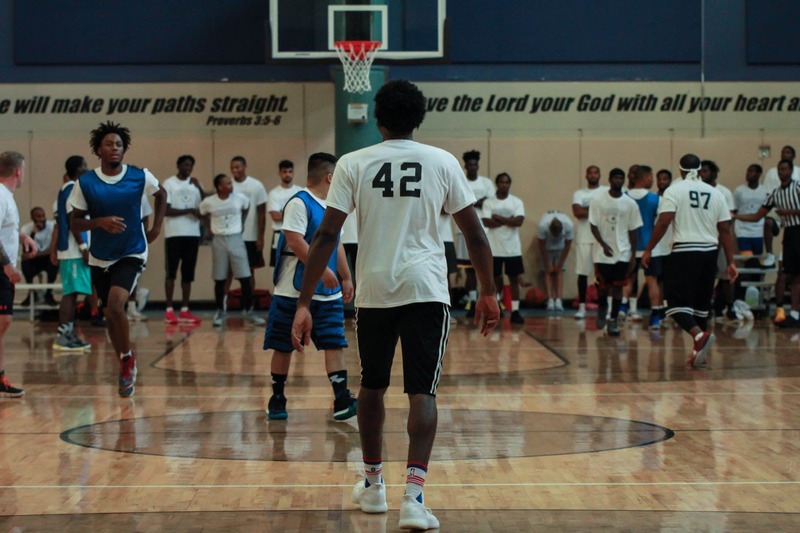 Two hundred players attended the Texas Legends local tryouts on September 8, 2018 with hopes to take a shot at training camp. These local tryouts are open to prospective players for the chance to play at least five games in front of the Texas Legends coaching staff and scouts from the Dallas Mavericks and Canadian basketball teams. Each NBA G League team is allowed to offer a contract to up to four players from a local tryout. Those players who get the nod for a contract at tryouts will go straight to the Legends training camp in October. Returning players make up the second method of building the new roster and, in the Legends’ case, might serve as a significant factor to lay the groundwork for the team. The Legends expect an impressive eight returning players from last season and the season prior who will work to keep their status with the team. This is where the baton handoff between the Dallas Mavericks and the Texas Legends comes into play. 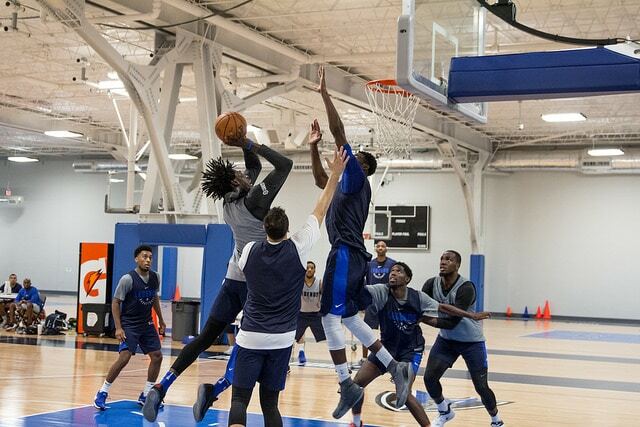 For approximately three weeks starting September 22, players compete at the Dallas Mavericks practice facility to earn their place. 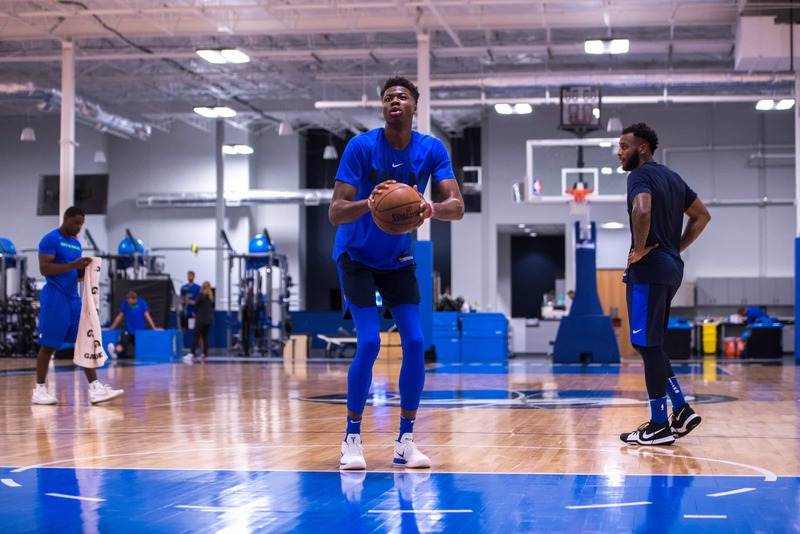 If players are on the cusp of securing one of the last NBA roster spots and do not end up with the Mavericks, they might get the opportunity to sign a G League contract and head to Frisco to showcase what they can do. We bring in guys that we’re interested in and we think have a great chance to develop into NBA players potentially but that may not be high enough on our board. The Legends are a perfect platform and developmental piece for us. It gives players a chance to play and develop their games. A maximum of four players can be released from the Mavs training camp and transitioned to the Legends training camp. One of these potentials could be former Wake Forest guard Codi Miller-McIntyre. He will work out at the Mavericks camp while also being a candidate to transition to Frisco’s camp next month. Once the Dallas Mavericks’ roster is finalized and the NBA season tips off, the G League draft takes place. On October 20, 2018, the Texas Legends staff invites fans to join the fun at Strikz Entertainment for the four-round draft. Four picks are up for grabs with a minimum of two picks to be made by each team. The Legends have a way of bringing players here to Frisco that stick around the Dallas Ft-Worth area, as well as including local notables on the roster over the years. After playing almost two seasons with the Legends, Dominique Johnson now plays overseas, but fell in love with this area and has made it home. Justin Dentmon played at the University of Washington, was drafted by the Legends and, while he didn’t grow up here and didn’t go to college here, he has made Frisco his home as well. Guard Keith Hornsby and his wife also enjoying living in Frisco. It’s fantastic to have the Legends in our back yard to get players the playing time and experience they need to turn into solid NBA players. Coach Carlisle loves to bring the Legends players up because the number one goal is to develop players. It’s a sense of pride for all of us when we can call up a player and utilize them. Two-way players are full NBA players but they spend the majority of their season within the G-league. This upcoming season the two-way players have been decided as forward Kostas Antetokounmpo from Athens, Greece and guard Daryl Macon, a Little Rock, Arkansas native. From the fan perspective, getting to see two-way players is a unique opportunity to see future Mavericks grow, learn and develop. You get to watch them improve their abilities from one week to the next. All of this leads up to training camp with the Texas Legends on October 22. The Legends are able to invite 17 players into camp. The final roster number will shake out to 10 roster spots, plus the two players with the Dallas Mavericks two-way contracts. Players that haven’t found the opportunity they wanted or don’t get signed by other G League teams are free agents and go into the available player pool. If an NBA call-up creates roster space for the Legends once the season has started, free agents might get the chance to fill those spots. A team of twelve will emerge as the dust settles by late October. Through tryouts, training camps, the draft, returning to the team or two-way designation, each may each a take unique path to get to Frisco. And for some, this won’t be the final destination on their road to the NBA.